The Medical Social Workers at Cornerstone VNA are a valuable community resource and can assist you with completing your Advance Directives. While this can be done at any point throughout the year, our Social Workers will be available to provide assistance with Advance Directives on April 19, 2019, from 9am-3pm at the Wellness and Independence Health Fair. This free event will be taking place at Frisbie Memorial Hospital’s Community Education and Conference Center, which is located at 11 Whitehall Road, Rochester, NH. As people age, some of the toughest decisions they must make involve end-of-life care. Those who do not make these critical decisions often force family members into the uncomfortable position of making the decisions themselves. Start the conversation here and then come by the Health Fair on the 19th! Cardiopulmonary Resuscitation(CPR) or fibrillation: Do you want doctors to use compressions or electrical shock to restart your heart if it stops beating? If you do not want CPR or other life saving measure performed, you can include a DNR or Do-Not-Resuscitate order as part of your advance directive. If you have a DNR request, a doctor will include a DNR order in your medical chart, which is accepted in all hospitals across all states. You can also include a DNR form on your refrigerator at home, which will alert any emergency personnel, and those close to you, that you do not want any life saving measures if you stop breathing. If you would like to set up a DNR order for home, talk with your doctor and request a signed DNR form. The bottom of the form can be removed and kept in your wallet for when you’re out in the community. It is important to understand that you have the right to change your mind and request CPR. Breathing tubes: If you can’t breathe on your own, do you want doctors to insert a tube in your throat or put you on a ventilator? Feeding or hydration: If you are in a vegetative state, do you want to be indefinitely fed and hydrated? Dialysis: If your kidneys fail, do you want to be put on a dialysis machine? Pain management: What sort of pain management options do you want administered? Organ donation: At the point of death, do you want your viable organs to be donated? One of your first considerations with your advance directives should be whether you want to appoint someone as your medical durable power of attorney (DPOA), which allows the person you designate to make medical decisions on your behalf if something happens that is not covered in your living will. This person is also known as your healthcare proxy. According to the National Institute on Aging (NIA), your healthcare proxy should be familiar with your values and wishes, which means that he or she will be able to decide as you would when treatment decisions need to be made. In order to activate your medical DPOA, a doctor or ARNP must certify that you meet one of three conditions: 1) to be near end-of-life, even while still receiving treatments, 2) to be permanently unconscious – no brain waves are detected or you are incapacitated due to unconsciousness, and 3) you are so disoriented that you do not have the mental capacity to make a decision about your medical care. The advance directives and certification from the doctor or ARNP should be together after the DPOA has been activated so that they can be presented to any medical authorities when needed. It is important to note that your medical DPOA is only authorized to make medical decisions on your behalf, not financial decisions. Having advance health directives and appointing someone with DPOA will also assist your physician in the event your family has disagreements regarding your care. “Physicians prefer these documents because they provide a written expression from you as to your medical care and designate for the physician the person he or she should consult concerning unanswered medical questions,” according to the American Bar Association. A living will only takes effect after a primary physician determines certain medical conditions are met, and sometimes a second doctor is required to confirm the decision. You do not need a lawyer to have a living will, although you can use an attorney if you like. There are a number of online sites where you can get a free form to create a living will. It does not have to be complex or elaborate. Specific requirements vary by state, so make sure and check the requirements where you reside. Filling out advance directives is such an important step, but so is having conversation with all family members, not just a spouse or the one child you choose as your power of attorney for health care. It is a gift in the end and it is recommended that anyone over the age of 18 should complete their advance directives. According to the National Institute on Aging (NIA), “Give copies of your advance directive to your healthcare proxy and alternate proxy. Give your doctor a copy for your medical records. Tell key family members and friends where you keep a copy. If you have to go to the hospital, give staff there a copy to include in your records. Because you might change your advance directive in the future, it’s a good idea to keep track of who receives a copy.” The NIA adds, “You may never face a medical situation where you are unable to speak for yourself and make your wishes known. 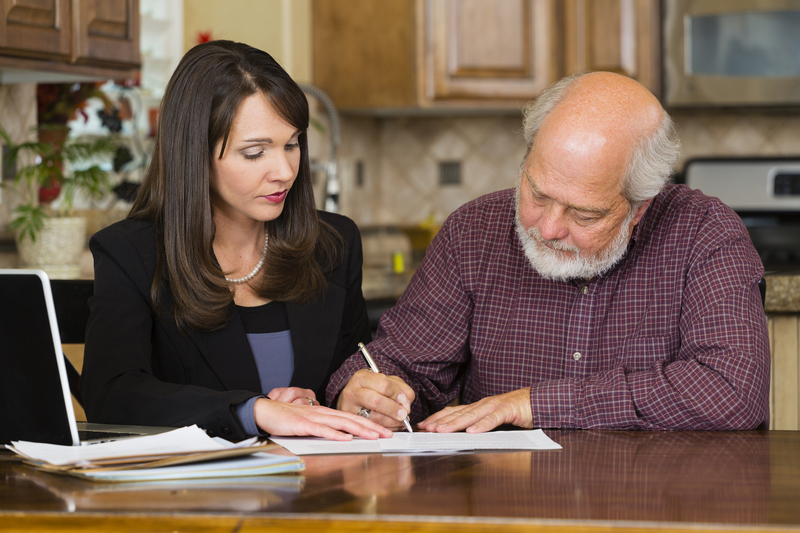 But having an advance directive may give you and those close to you some peace of mind.” Find additional information here.